Member associations of EABCT and the individual members who are part of these associations work in an increasingly wide range of areas mainly in health and social care. In developing an undertaking cognitive and behavioural therapy in these areas therapists and researchers will be interested in the knowledge and state of the art practice in many specific areas. These may relate to specific problems such as psychosis, OCD, OCD in children, early onset in psychosis, behavioural couples therapy, pain management, addictions, ADHD, anorexia, and so on or to therapeutic approaches within these areas. to assemble a group of CBT therapists from across Europe who are recognised as experts in their particular field and who would agree to be available to requests for their advice and guidance to the EABCT Board and EABCT member associations as needed. They could also provide a resource to assist the organisers of EABCT Congresses, and to cooperate with the activities of the SIGs. EABCT still has much work to do in influencing European Healthcare develop policies and to develop a workforce that takes into consideration the evidence base of CBT and the social and economic benefits that our approach can bring across a range of areas. To have access to a range of people who are considered experts in particular areas of the application and benefits of CBT would be of value in taking forward this work. Similarly, for a congress organiser such a panel of “experts” could act as a resource to support the local congress scientific committee as required, as well as for the chairs of the sigs if they require advices and scientific support to organize trials and researches. A panel of experts could also assist in identifying priority areas for the development of CBT in Europe that could help inform future meetings and activities. 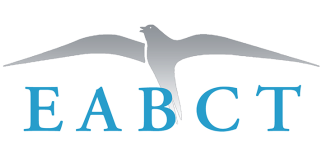 If in the next future you would like to suggest further areas(topics) that EABCT will wish to pursue and to then identify a person (or group of people) who could provide advice on these areas and become part of the EABCT advisory group, you are free to give us your suggestions and proposals.